The agreement came during talks between Chinese Premier Li Keqiang and Myanmar's State Counsellor Aung San Suu Kyi, who started a five-day official visit to China on Wednesday. Chinese Vice Foreign Minister Liu Zhenmin told reporters after the talks, held at the Great Hall of the People, that Suu Kyi said Myanmar's new government has decided to set up an investigation committee to find a solution to the Myitsone Dam issue that is in both countries' interests. 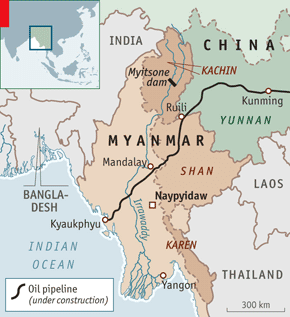 Li called on the two sides to properly promote major projects including the Myitsone Dam and the China-Myanmar oil and gas pipeline to improve infrastructure construction and connectivity, according to Liu.